This well-reviewed set boasts full array local dimming, Dolby Vision (via firmware update), and X-motion clarity. The latter is a new way of implementing black frame insertion with minimal loss of brightness, resulting in class-leading motion handling. Peak brightness is up by about 20% from last year’s XE90. 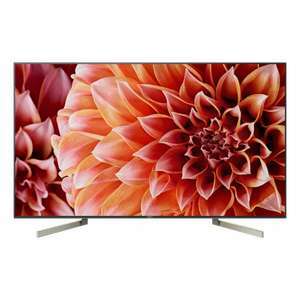 Comes with a 5 year manufacturer warranty, free delivery, as well as wall mount and 2m HDMI cable. HIFI Confidential are a highly rated retailer, and this price is the cheapest currently available. NB. John Lewis will not price match, stating rather tenuously that “customers need to book an appointment to visit beforehand”. This relates to their showroom, which has nothing to do with online transactions. I can’t touch anything that doesn’t have Ambilight. Add your own ambilight - piece of cake. Deal posting newbie! This is nick05 first deal post. Help out by leaving a posting tip or just to show your appreciation for their contribution.